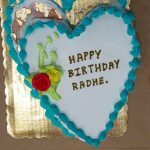 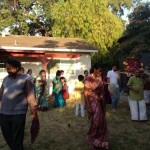 Categories: Bhakti, Compassion of God, Divine Names, Grace of God, Sri Swamiji's Kirtans. 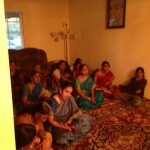 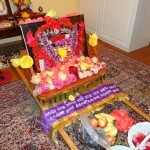 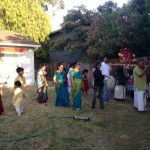 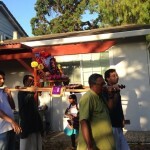 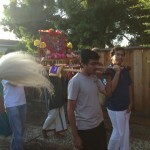 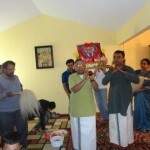 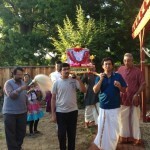 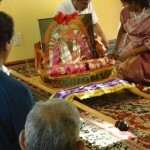 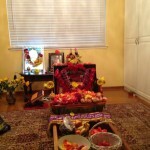 Bay Area GOD Satsang celebrated Vasanthotsavam for the first time in a very grand manner. 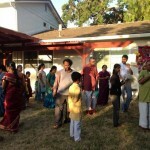 The event took place on Saturday, June 7th 2014 at the residence of Sri. 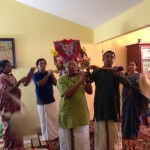 Sankar Rajaraman and Mrs.Sangeetha Seshadri. 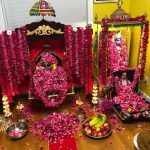 All the devotees enthusiastically participated in this Utsav arrangements and made garlands and decorated the Vahanam for the divine procession. 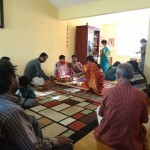 The satsang commenced with Mahamantra followed by the purappadu to the singing of kirtans composed by Sri Swamiji. 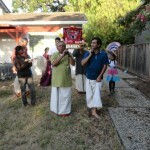 As night time slowly started to set in, the lamps were lit and all the devotees continued with kirtan rendition. 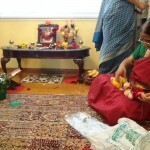 It was a beautiful sight to behold with the divine couple surrounded by lamps. 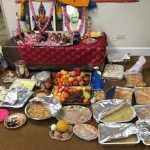 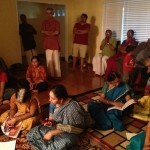 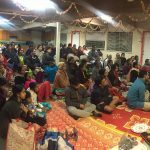 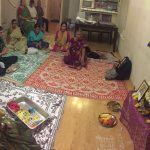 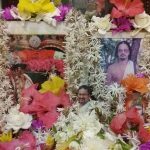 Around 40 people attended the utsav and many of them who attended were new devotees and were excited to take part in this Utsav that was filled with divine love and bhakti for the divine couple.